Because when I realized I had an easy post in the #2 spot on Google, I realized I was onto something. For most solopreneurs, SEO is an f*ing drag. But honestly, it doesn't have to be. You just need to stop following the traditional advice and start implementing tactics that work. A 35-minute downloadable instruction video. 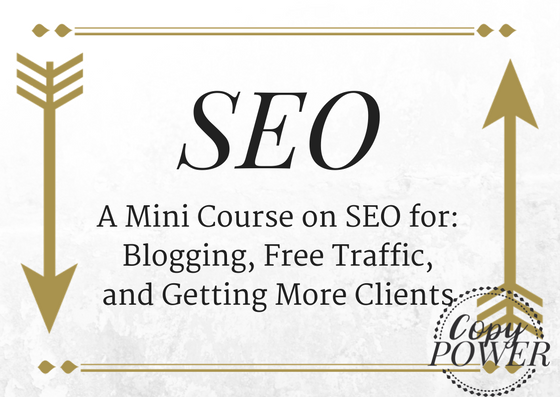 A printable guide that includes an instruction sheet, a worksheet on keyword research & writing your first stress-free SEO blog post, and a resuable worksheet for all your future blog posts. A bonus YouTube checklist, if videos are your thing. The EXACT process I use to create SEO-centered blog posts that get my all the free traffic I'm happy with. A behind-the-scenes walkthough of my own blog. The easy way to write blog posts to help you stand out as an influencer.